I've been putting off watching this movie for quite some time now mainly because it is a little old and I wasn't sure if I'd like it. But the lack of interest in any other thing right now steered me towards this and I was really in for a surprise as it turned out to be one of those stories that touched my heart deeply. I read some comments where people said they cried while watching the movie but I thought they were exaggerating because till about 70% of the movie I didn't have tears in my eyes, forget crying. But after that, I was left sobbing. The movie takes such a sudden shift and you're left jarred. The story is fairly good, the basic ingredients are the same but you can still see new packaging here and there. Not an overly cliched plotline, which was a relief as I was afraid this might be ruined because of a typical love triangle based theme. But I still felt a few parts were rushed mainly because it was a story better suited for maybe a mini drama. Although it got a lot better towards the end and I didn't end it with any complaints in my heart or head. The acting by the cast was great. Loved the leads. I could understand every emotion they were portraying and feel it as well. 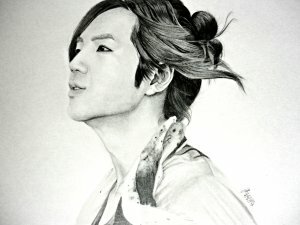 Jang Geun Suk did well especially in the later part of the movie. The lead actress did a really bang on job though, this was her movie through and through. Nice work by the others as well. Music was nice, peppy and light. There was nothing noteworthy as such but the songs suited the situations well and the lyrics had relevant meaning. The only thing I wish there was were the OST being sung by Jang Geun Suk himself, I don't think he sung more than one song. His voice would have made it even more amazing! I would definitely watch this again, maybe not in recent future but in a few months definitely. A great movie that gave me a very warm feeling in the heart (Hence the overall 10), there were flaws in it, I won't deny but if you don't get stuck on those too much, you'll be able to enjoy the movie for sure. Not one of the best directed movies but it has a good story and good acting. You can watch it if you are willing to have an open mind.